Winter break is a time to be cherished. Those few weeks surrounding the holidays are your break from school, from the relentless studying, club meetings, and everyday challenges of life. That’s why it’s so important to find ways to make the most of this time. 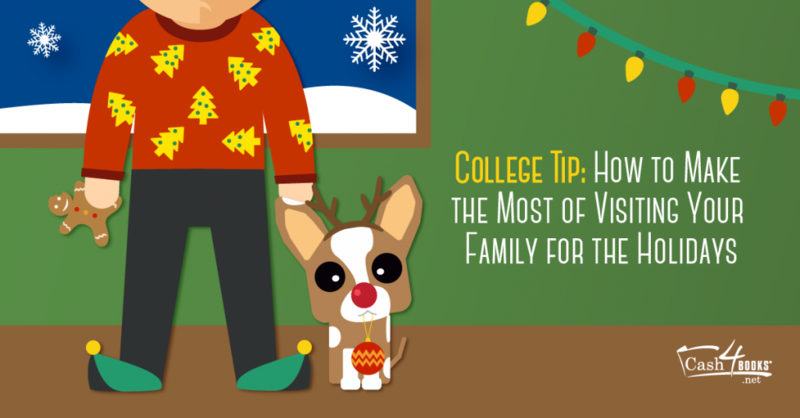 You’re home from school, which means the rest of your family is probably home for the holidays as well! Now’s the time to catch up with your parents, siblings, cousins, and grandparents! Seize the moment and get to chatting. If having a heart-to-heart over a cup of cocoa isn’t your thing, consider doing some activities with your family, like watching a Christmas movie, cooking dinner, or playing a game. Get in the holiday spirit, and bake some delicious treats! Winter break is your chance to sing carols, chow down on sugary goodness, and take a break from school. Experiment with those sugar cookies, shortbread biscuits, and the 7 layer bars. This is another way to spend quality time with your family. Get ready to bond over the sugar and flour! Need help getting started? Here are some awesome recipes to consider. While you’re visiting your hometown, be sure to touch base with your friends from high school. If they’ve been off at school, they’re probably on winter break as well. Even if you haven’t talked with them for a while, it’s always great to reconnect. While the winter break is FULL of great food and sweet treats, this is also your opportunity to get back into exercising. Without the stress of classes and tests, you can focus some of your time and energy on staying fit and healthy. Here are some great workouts to consider. What’s better than sitting in front of a warm fire with a good book? Honestly, not much competes! Enjoy your relaxing winter break with these bestsellers. We know, you keep putting off working on your resume – but that ends now! You finally have some uninterrupted time without classes and school to worry about. You know what that means… peruse these tips, and buff up that resume! Apply to jobs and internships. Now’s the time to plan ahead and put your recently revamped resume to work. Spring and summer internships are right around the corner, so you should consider beginning your research and applying to positions now. Here are some tips on landing summer jobs to keep in mind while you consider where to apply. Being prepared is key! Most importantly, we hope you have a fun, relaxing, and fulfilling winter break. Spend time with your family, bake tasty treats, and read some great books. Enjoy! This entry was posted in College Students and tagged college students, family, holidays, parents, tips, Travel on December 16, 2015 by Jim McKenzie Smith.